I have the honor this week to host Haveil Havalim - a carnival of Jewish and Israeli blogs.The Haveil Havalim blog carnival was founded by Soccer Dad and every week a different blogger takes a turn to host a weekly collection of blog posts. The name "Haveil Havalim" means "Vanity of the Vanities" and is taken from the book Ecclesiates in the Tanach (the Jewish Bible). Yocheved Golani from Its my Crisis and I'll cry if I Need to will be will hosting next week's edition. If you blog about Israel or Jewish-related subjects, please feel free to join the Haveil Havalim Facebook group or go and have a look at the Haveil Havalim website. And now... let's go and have a look at those blog posts. It was a sad day in Israel this week with the whole country taking time to remember the six million who had died in the Holocaust. 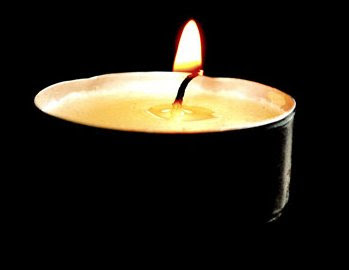 Bat Aliyah writes in Stam A Day how she experienced Holocaust Remembrance Day here in Israel. Rutimizrachi remembers her great-grandmother Ruth from Poland in "Even the beggar stood". And in Shiloh Musings Batya reminiscences about growing up in the USA and how her grandparents watched the Holocaust from afar in We're All Holocaust Survivors. Haveil Havalim bloggers also blogged about their own personal losses. Trip'n Mommy is faced with the task of planning a yartzheit for her husband at Creating a New Tradition for Loss. And Eliyahu writes about his brother, Dov Daniel ben Zelig Pinchus who has passed away. You can read about how he and his family have started to learn mishnayot in his memory at Mishnah Learning for a Special Soul. Next week, the country of Israel celebrates its 64th year on independence. 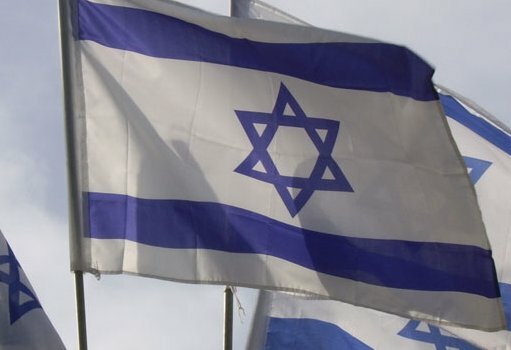 Jewneric.com has an article about Making a Difference on Yom Ha' Atzmaut (Independence Day). The country is already draped in beautiful blue and white flags and in Shiloh Musings at The Israeli Flag is MY FLAG! you can read about the feeling of pride Israelis feel when they see their flag. At Religion and State in Israel you can read or listen to a weekly review of media coverage on religious and state issues in the country of Israel. In the Real Jerusalem Streets we see some amazing photos of Israel, including the Google car, mapping Jerusalem in Google Maps Jerusalem. Susan Esther Barnes from To Kiss a Mezuzah talks about The Three Best Things About Passover this Year. I agree with number two Susan :) one of the best things of Passover is the taste of bread after a week of no carbs! And at Passover Leftovers you can see photos of how Israelis celebrated Passover this year. The last photo, the message on the bus, is my personal favorite. Catriel Sugarman.com has an interesting article called Women and the Korban, Pesach, Part II on the fact that women (in theory) could slaughter their own Korban Pesach (Passover offering). Miriam Goodman from Miriam's Words writes about studying tehillim (psalms) at Words of Wisdom and shares her views on the over sixty-five age group at Oh, Those Golden Years. Are They Really Golden? Ya'aqov ben Yehudah from Esser Agaroth tells us at Shomer Misnomer why the misuse of Hebrew words can sometimes be irritating. I myself do not like it when non-Hebrew speakers pronounce my surname with the accent on the Mesh and not the She. Not their fault, I know...but it does grate on the ears! At Win a Free Copy of Six-Word Memoirs on Jewish Life from TJewfolk.com you can read about how to win a copy of the book, "Six-Word Memoirs on Jewish Life". And that is it. I hope had you enjoyed clicking on the links and reading all these wonderful blog posts! Wonderful Debut Havel Havelim! Thanks so much for including me. Haveil Havalim #356 Is Up!